A Missouri man arrested in connection with the Sunday shooting that killed one man and put another in the hospital made his first appearance in Jackson County District Court on Tuesday. Judge Kimberly Dahlen appointed a public defender and approved a bail amount of $500,000 for Dwayne Dunn Jr., 21, who faces a single felony count of reckless discharge of a firearm. “Isn’t that a little excessive?” Dunn asked the judge of the bail decision. The judge told Dunn he is within his right to seek counsel with the Jackson County Public Defender’s Office to file a motion for a reduced bail amount. 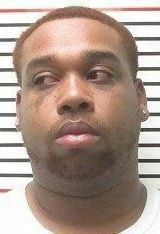 Dunn, of St. Louis, was arrested by Carbondale Police on Sunday and held in Jackson County Jail until the arraignment hearing. He allegedly discharged a Smith and Wesson firearm into the air on the morning Tim Beaty was killed. Police responded to reports of gunshots and a large party about 2 a.m. Sunday in the 400 block of West Walnut Street. Carbondale police determined that an altercation between two men led to gunfire. Multiple shots were fired inside and outside the house, police said. Beaty, 41, of Carbondale, was an uninvolved bystander killed by a stray bullet while in his home, Sgt. Corey Kemp said during a press conference Monday. Another man who has not been identified sustained a non-life threatening injury and was taken to Carbondale Memorial Hospital then transported to a St. Louis-area hospital, police said. Police are still searching for two “primary suspects” in the case. Dunn’s preliminary hearing is set for April 21.